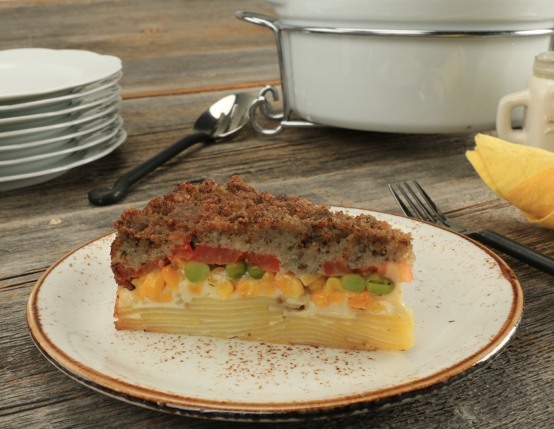 A unique twist on Shepard’s Pie – scrapple, potatoes and hearty vegetables come together in this picture perfect dinner casserole. In medium sized pot, simmer heavy cream with sliced Yukon potatoes, garlic, sage, salt, and pepper for 5 minutes. Remove from heat and place on bottom of 8- inch spring form pan. Top potatoes with frozen peas, corn, sliced tomatoes and crumbled scrapple. 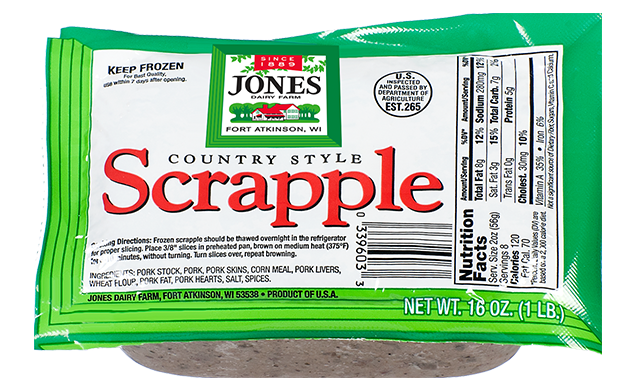 Cook in oven uncovered 30 minutes or until scrapple is browned and crispy. Sit at room temperature 15 minutes, let ingredients set before slicing and serving. Kids really likes it; easy to make as team. Good time!